The American Laryngological Association initiated a formal match program for candidates and institutions interested in participating in Laryngology Fellowship Training in 2010. Participation is voluntary. The match program is run through the National Resident Matching Program (NRMP). The formal NRMP for Laryngology Fellowships was begun in 2011 for the 2012/13 fellowship year and has run smoothly for the last seven years. Both applicants and program directors report the match process has been advantageous. For people interested in finding a Laryngology Fellowship, they should begin exploring the process during the middle of their third year of residency (PGY-3) at interested institutions. CVs and letters of recommendation are sent to potential programs at the beginning of their fourth year (PGY-4), and interviews are generally done from December through April of the same year (PGY-4). Rank lists are then submitted in May of the PGY-4 year. Applications and interview processes are individualized by each program. However, beginning with the 2015 Match, dates were modified to allow interested residents additional time to consider career objectives and goals by extending the application and match process. 3. Establish a uniform date of appointment and reverse the trend for applicants and programs to interview and accept positions earlier and earlier during residency training.  Also on this website are suggested Guidelines for Laryngology Fellowship Training and recommendations from the ALA Council on potential content for fellowship training. The ALA recognizes that not all fellowship programs will cover all of the subject matters with equal emphasis. The purpose of the Fellowship Guidelines is to inform otolaryngology residents, interested fellowships candidates and the potential program directors of the entire breadth of Laryngology. Since the field is broad and it is not possible for Laryngologists to have equal emphasis in all areas, fellowship applicants are encouraged to understand their areas of interest and seek out fellowship programs with emphasis in those areas. To download a pdf version of the complete presentation of the NRMP to fellowship directors click here. To view the Laryngology Fellowship Guidelines, click here.